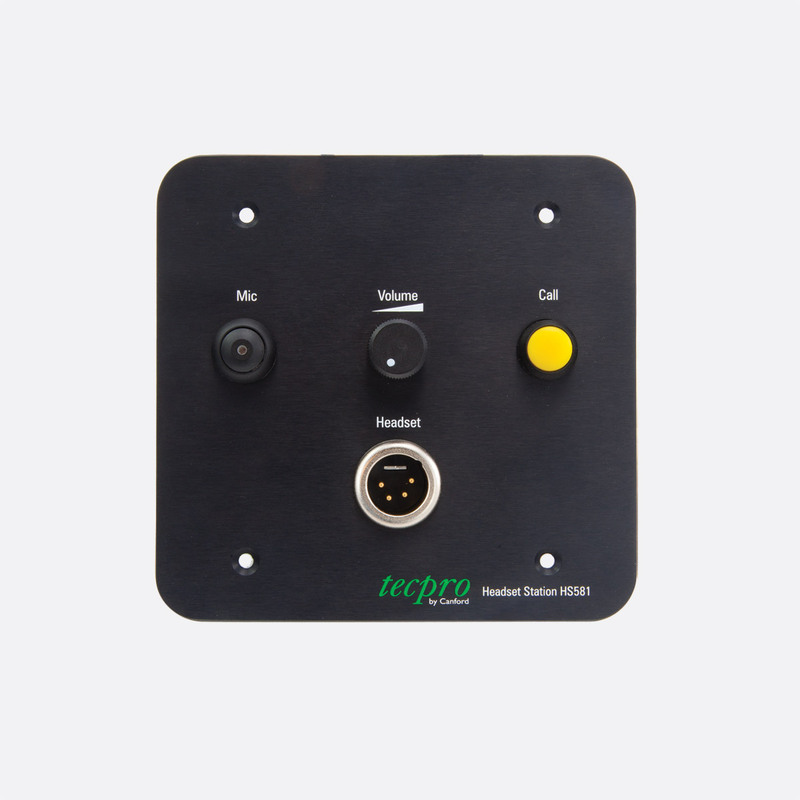 Offering similar facilities to a beltpack, the Tecpro HS581 is a single channel Headset Station suitable for flush mounting to walls, table tops or control consoles. 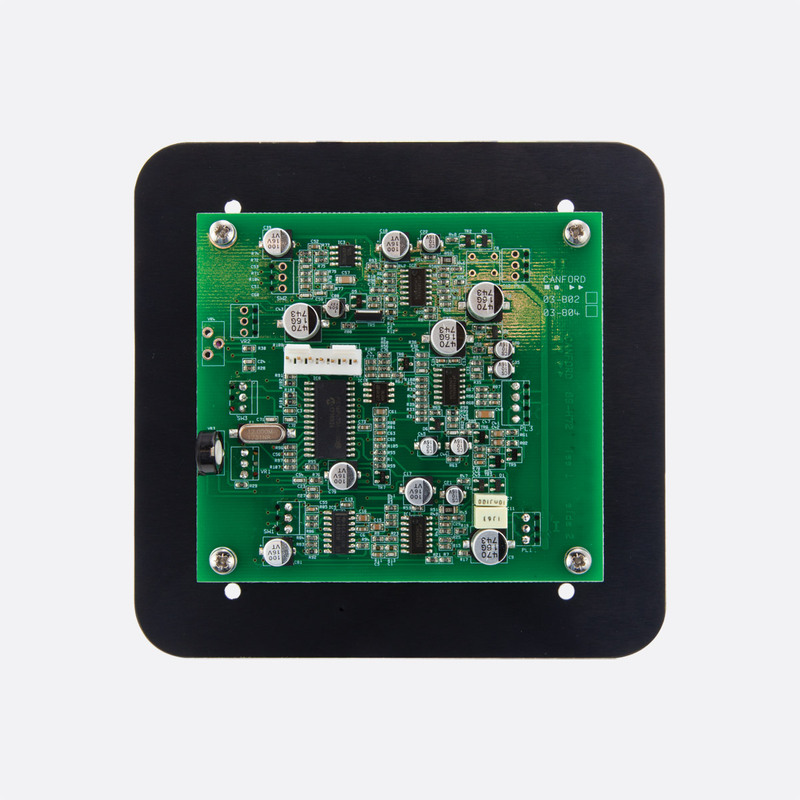 Cables are terminated to a fixed screw-termination block mounted on the PCB. 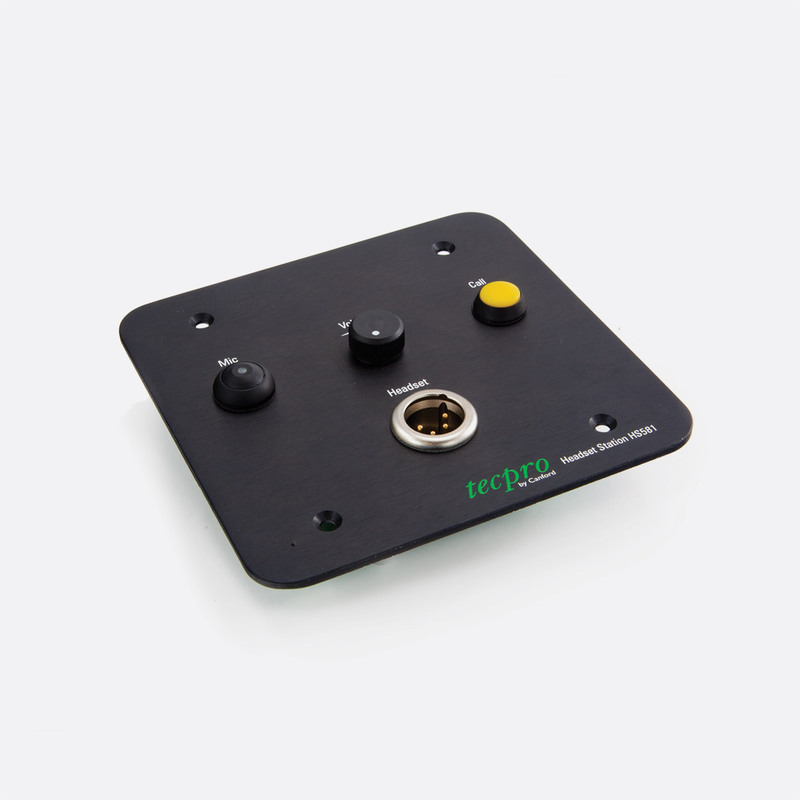 The black, brushed aluminium front panel is fitted with a headphone volume control, mic on/off switch and a ‘Call’ signal light/switch for attracting the attention of others on the same intercom circuit. A 4-pin XLRM headset connector sits below the three controls. The panel is secured in position via four countersunk holes suitable for ST3.5 (No. 6) Pozi, self-tap screws. 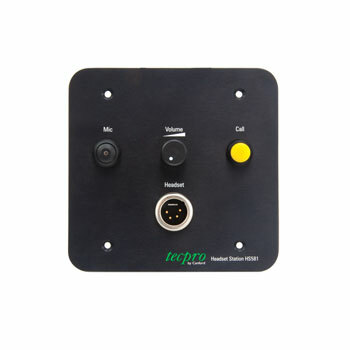 Side tone adjustment is via a preset mounted on the PCB rear, accessed by removing the Headset Station from its mount. 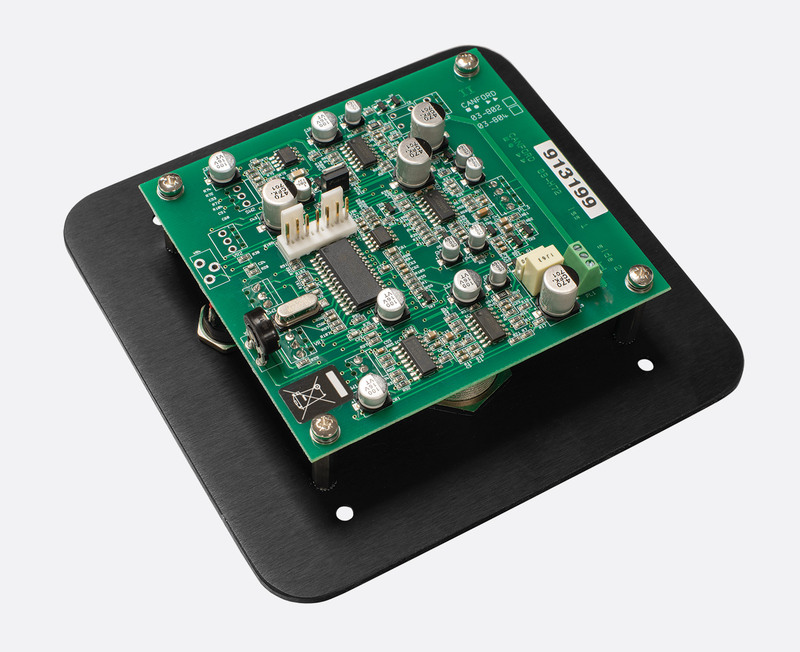 The HS589FB Flush box is available to aid mounting. Available in electronics only format for fitting into custom equipment. Single and dual circuit versions available. All switches should be momentary ‘push to make’ types. LED drive resistors are already fitted to PCB.